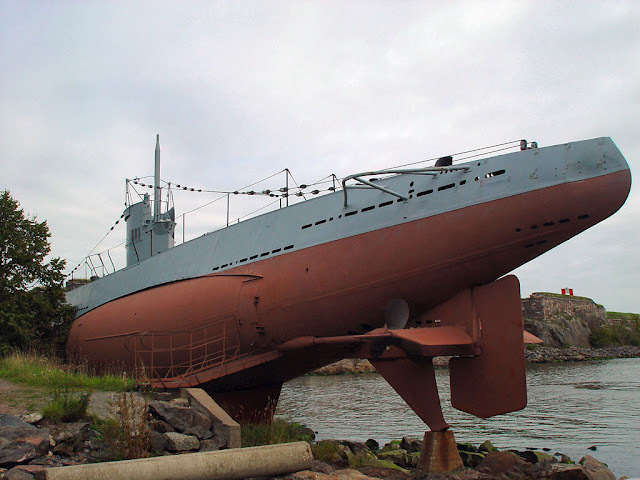 Vesikko was a submarine of the Finnish Navy in World War II. 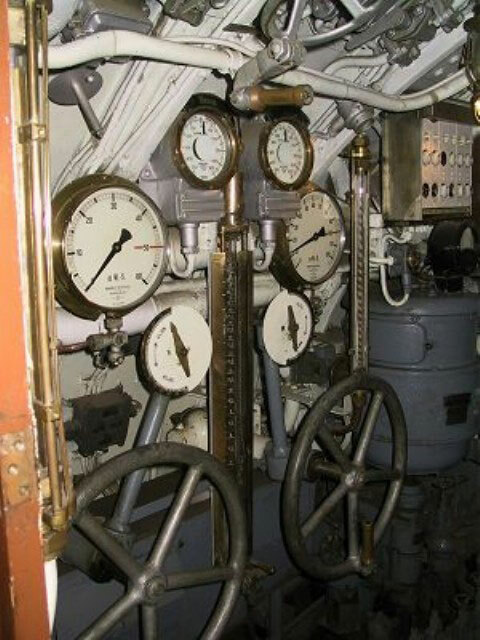 It was designed by Dutch Ingenieurskantoor voor Scheepsbouw den Haag (I.v.S) and built in 1933 by the Crichton-Vulcan shipyard in Turku, Finland. It served as a direct prototype (named as CV-707) for German Type II U-boats. Between the years 1933 and 1934 the German Navy carried out trials with the submarine in the Turku Archipelago. In 1936, the Finnish Navy bought it and named it as Vesikko. Vesikko was one of five submarines to serve the Finnish Navy. Vesikko saw service during World War II. Like other submarines of the Finnish Navy, she patrolled the Gulf of Finland during the Winter War against the Soviet Baltic Fleet. On December 1 and 19 December 1939, Vesikko made attempts to attack the Soviet heavy cruiser Kirov and battleship Marat, both of which which had been damaged by Finnish coastal batteriers. 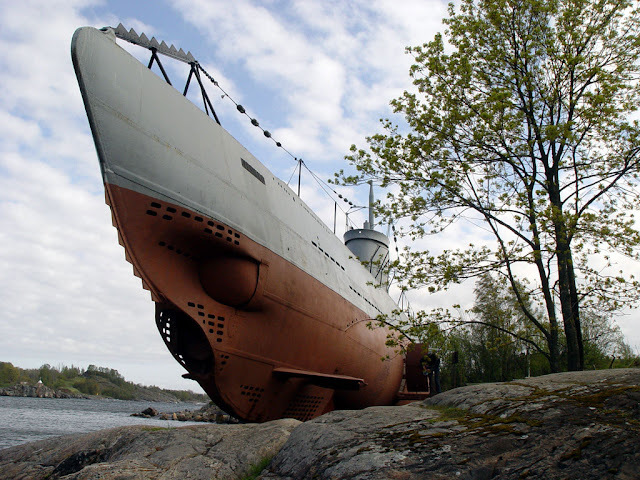 After the war Vesikko was decommissioned because of the obligations of the Paris Peace Treaties that forbade Finland having submarines. Vesikko was lying as a wreck for years. It was eventually put up for sale for anyone willing to buy it. Fortunately former crew members of the submarine managed to rescue and restore it. 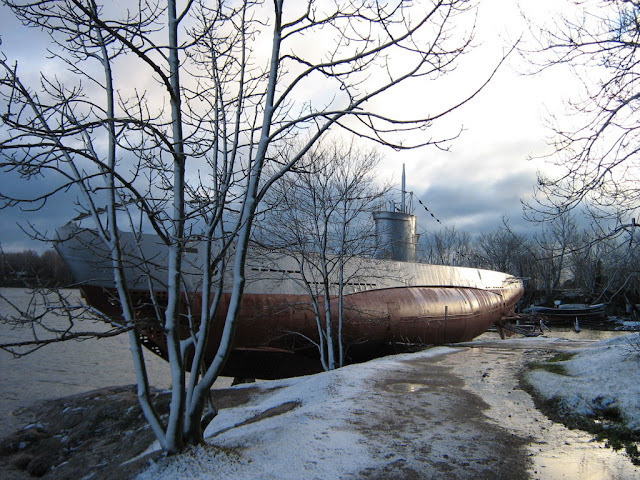 The submarine currently lies on the island of Suomenlinna. It has served as a museum during the summers since 1973 as a part of the Military Museum of Finland. 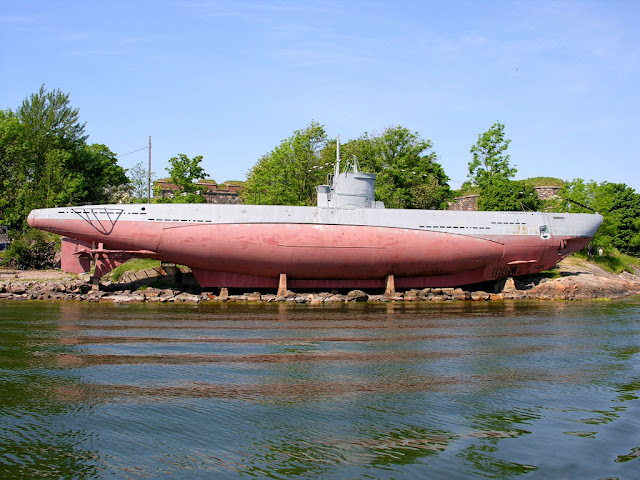 Vesikko is the last surviving Type II submarine in the world. Similiar place can be found in Birkenhead, near Liverpool, UK. There's a submarine left on the land, but as far as i remember it hasn't been turned into a museum, altough i've heard of some plans to turni it into some form of attaction.